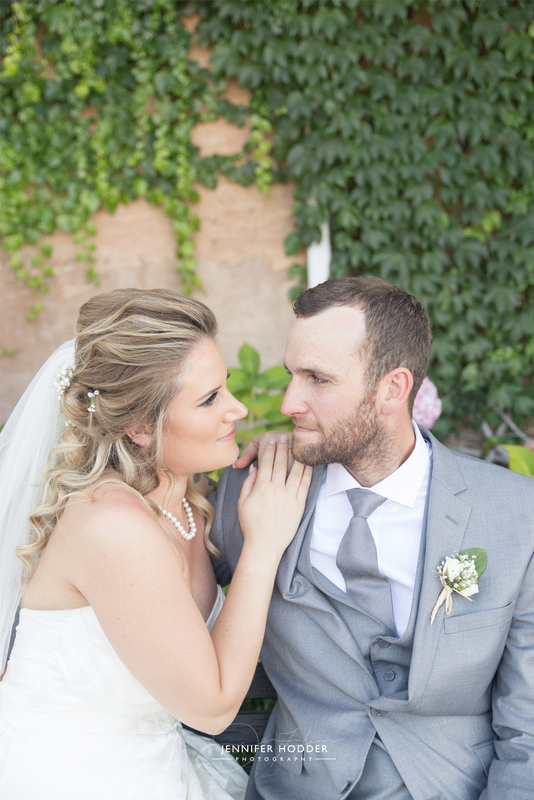 Kailey and Cole were an absolute joy to photograph on their wedding. When we first met to do their engagement photo shoot it was obvious these two love birds were made for each other. 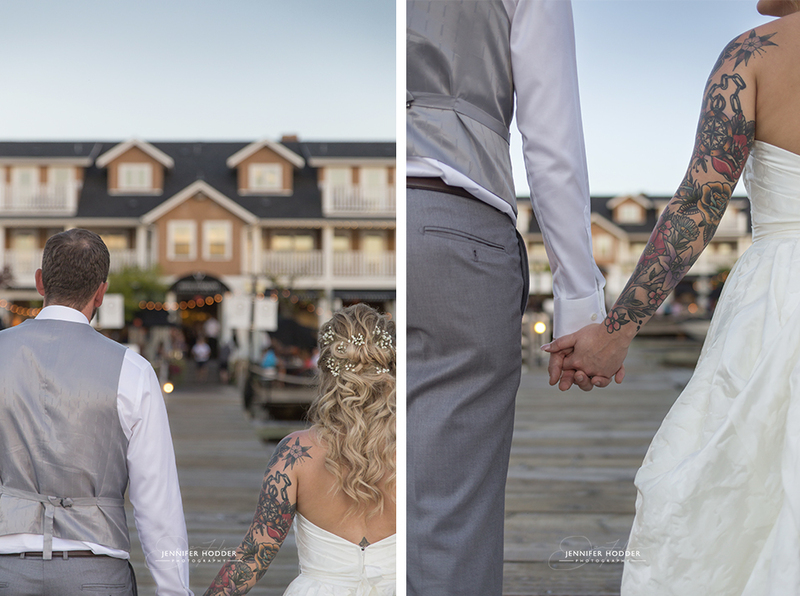 The couple chose to do a first look on the board walk outside the Hotel Eldorado, where the ceremony took place. It’s a beautiful location that is a personal favorite of mine. 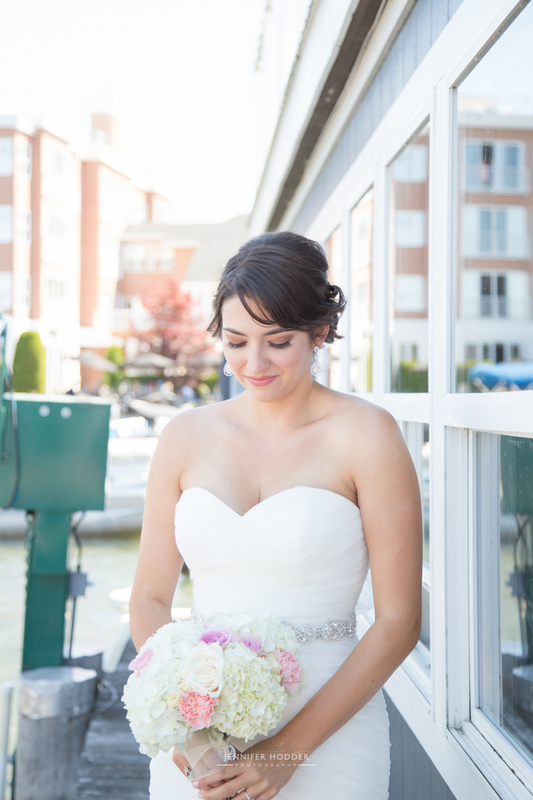 The roof top is picturesque, the reception room is grand, and the building has many secret places to sneak off to, to grab some intimate shots with the bride and groom, away from prying eyes. 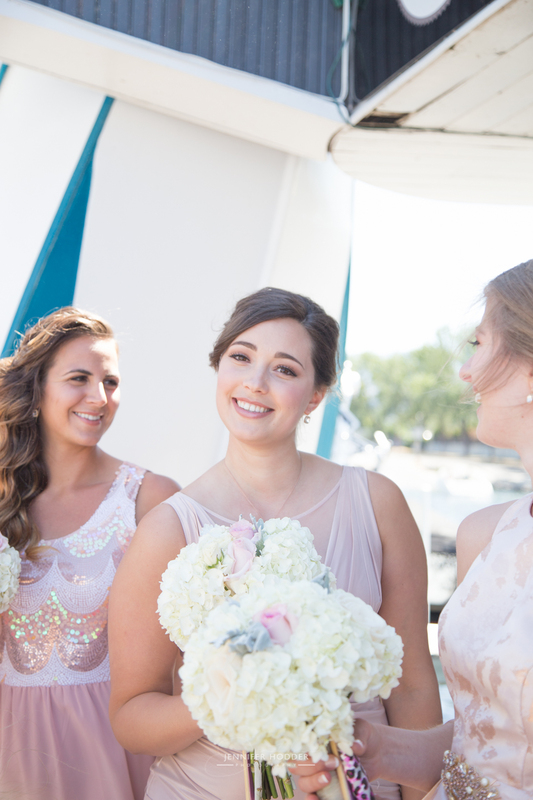 Kailey was flawless in her Stella York dress, which was not traditional white, but had a soft pink tone to it. 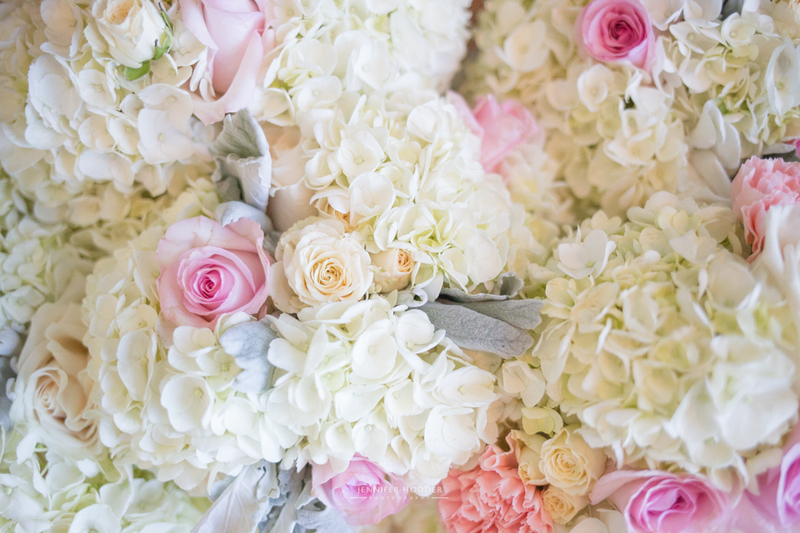 The succulent and rose bouquet fit perfectly with the the blush and Tiffany blue wedding colour palette. The groom even had blue shoelaces to match his pants! Overall the bride wanted to go for more of a boho vibe, substituting a small hairpiece in place of a traditional veil, something you see often! The smokey skies offer an even, diffused light, and some reprieve from the hot sun, but it casts a slight pink hue on the film images. The wonderful people at Canadian Film Lab do an amazing job at producing the best film scans possible, despite the challenges of rogue color casts. 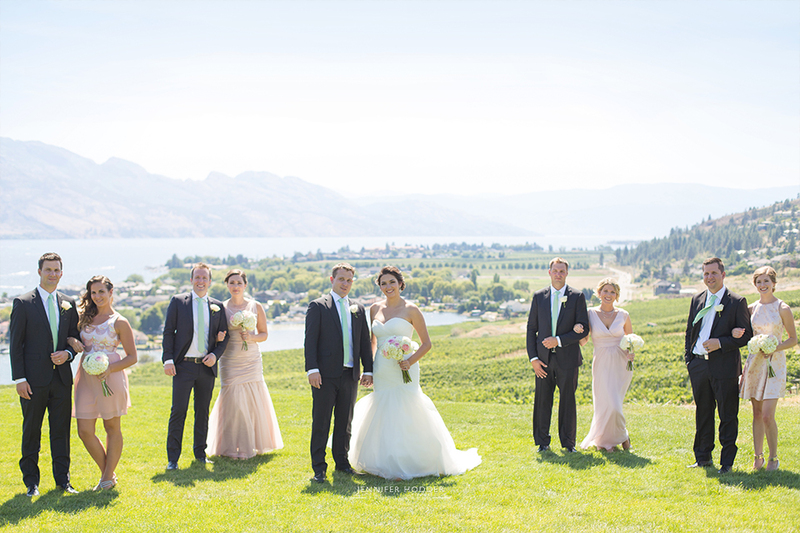 For the wedding party photos we headed across Okanagan Lake to Quail’s Gate Winery, in West Kelowna. 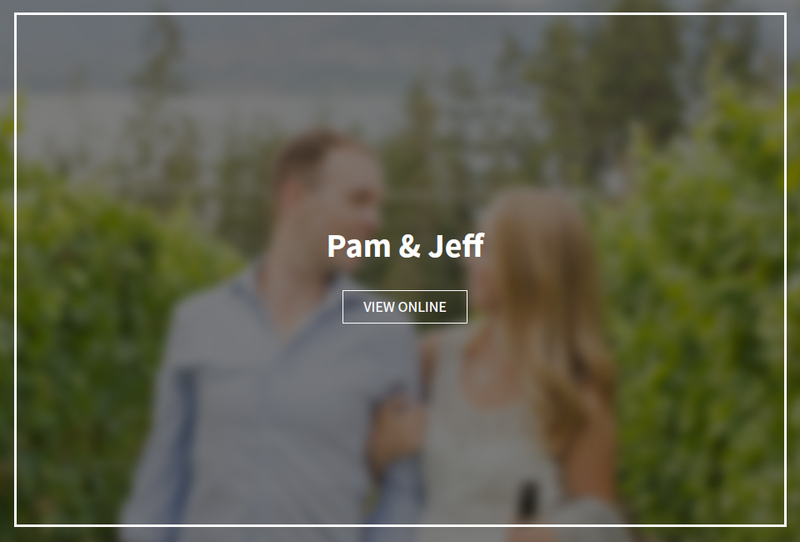 Quail’s Gate is an idylic winery setting that is an absolute essential stop for anyone visiting the Okanagan. What made you choose the Hotel Eldorado? 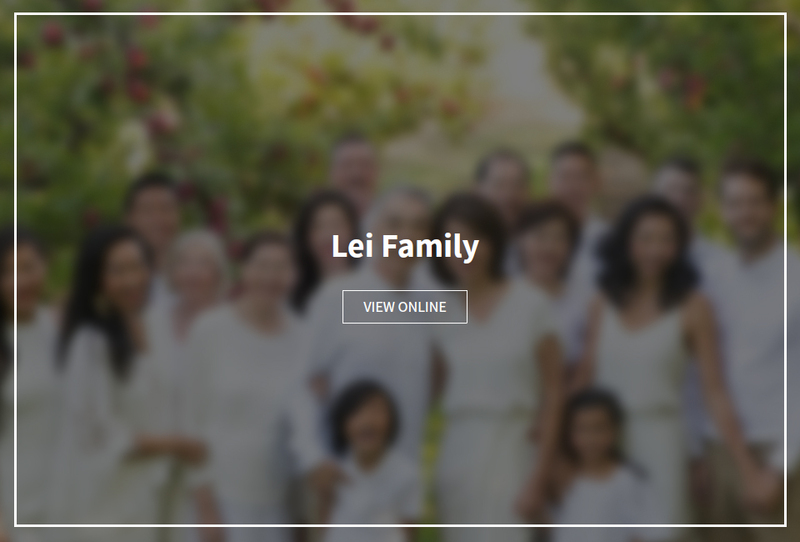 What was your experience with doing a “first look”? I was very anxious before the first look and having that moment with Cole was really calming. I just felt so much better when I saw him. 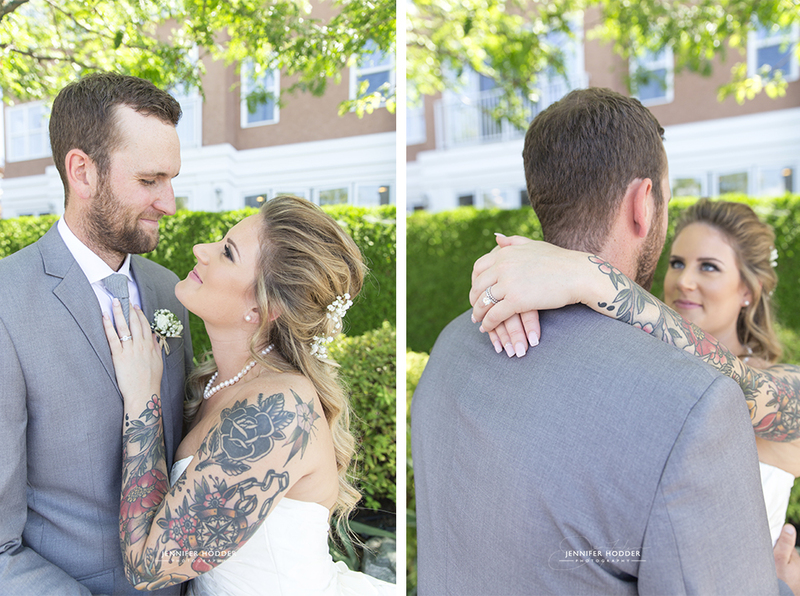 Being a Kelowna Wedding Photographer means that I get to meet so many loving couples. 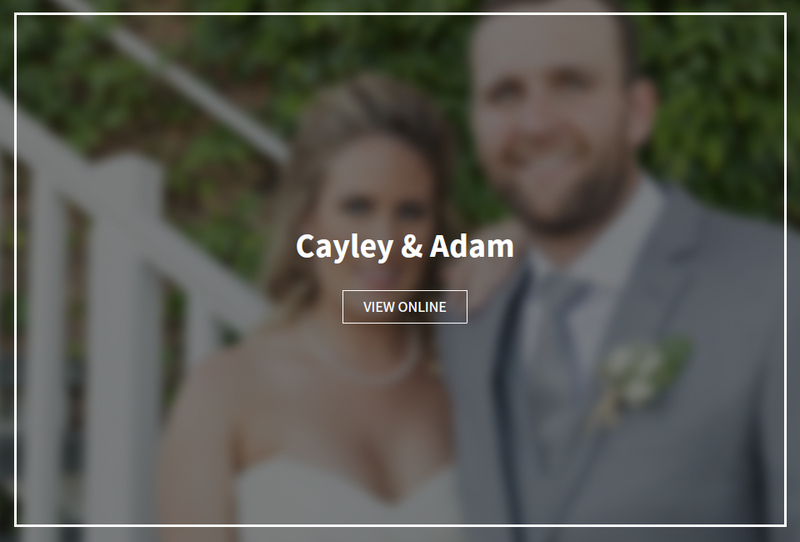 I instantly connected with Cayley & Adam – they are one of those couples that when you meet you know that they will be together forever. 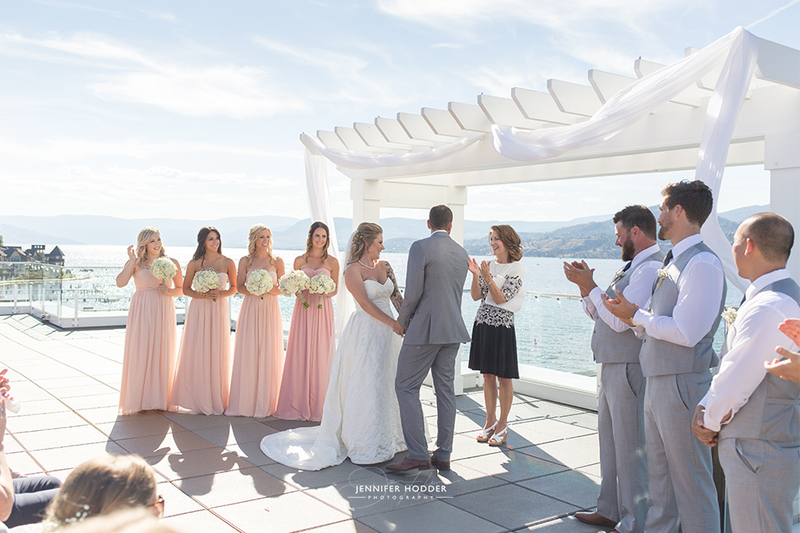 The history of the Hotel Eldorado is remarkable; it is an essential landmark of Kelowna’s heritage and is an absolutely stunning locale for both wedding ceremony and reception. 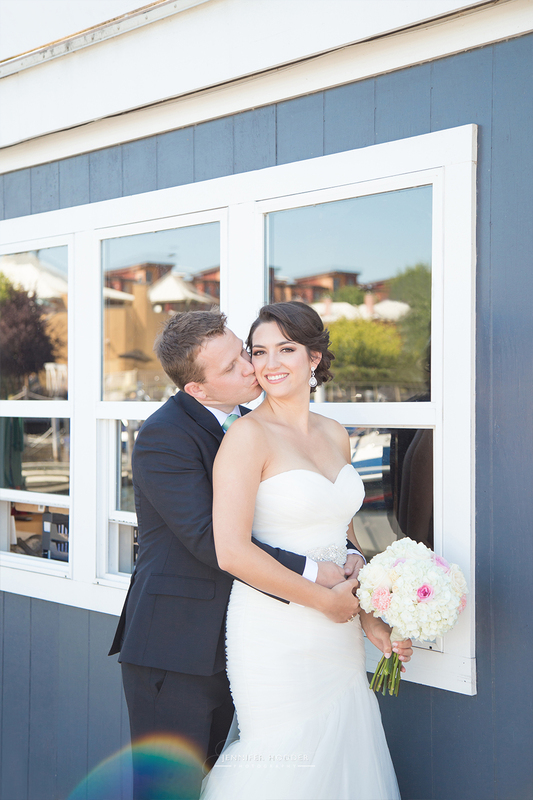 There are plenty of nooks to steal away for some private photos, despite the bustling restaurant and Boardwalk. 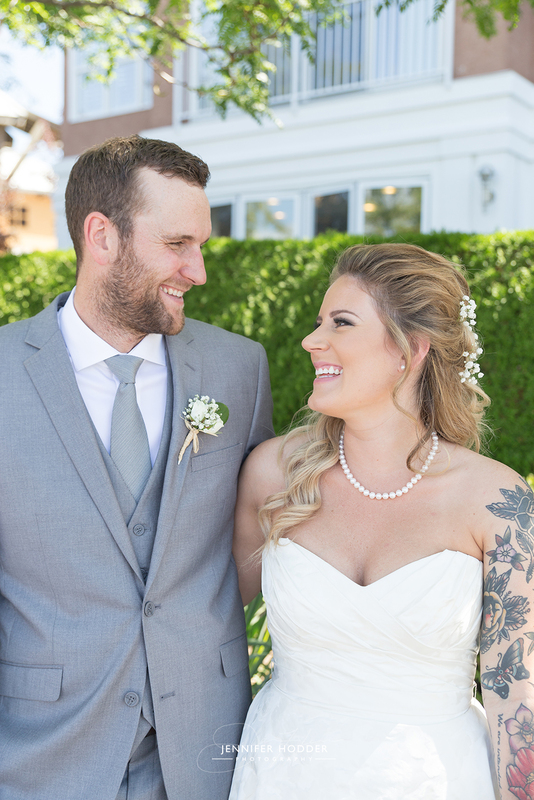 The couple opted to do a First Look, which allowed us to get some awesome shots before the wedding, and gave the bride and groom a moment to relax before saying their I-Do’s. 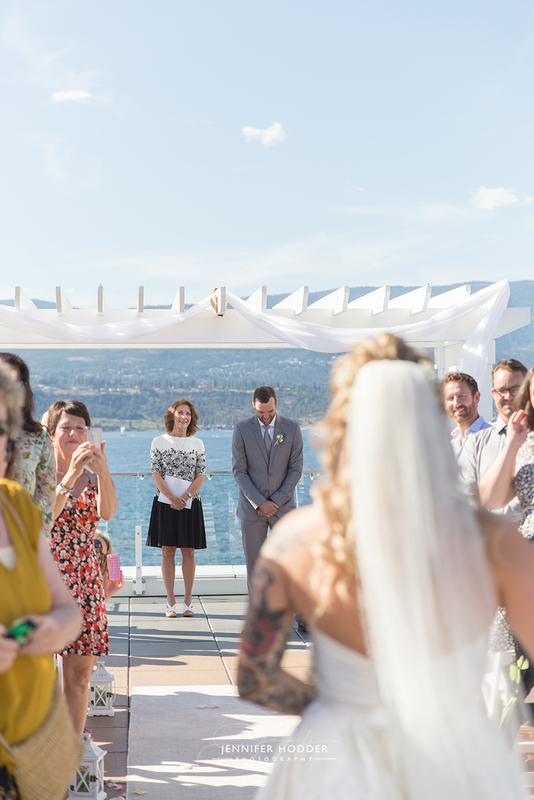 It was a beautiful rooftop ceremony, followed by a quick jaunt to Quail’s Gate Winery for wedding party photos, and then back to The Eldorado for the reception. Cayley & Adam even gave me a shout out in their thank you speech! Truly a thoughtful couple. It’s great when I can convince my couples to take a moment out of their busy night to grab a few golden hour shots… since that special time is so short we missed it by a few minutes. However we did manage to catch the tail end the the light for the day and it resulted in these epic dusk shots – and I don’t use the work “epic” lightly. 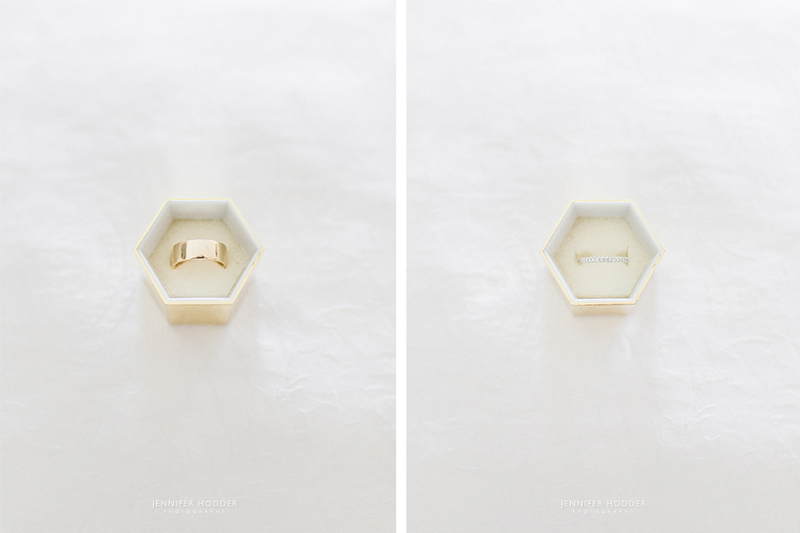 A wedding at the Hotel Eldorado are some of my favorite to be sure. The lis just something about this historic building turned wedding hot spot that get me. An old story to add to your new story. 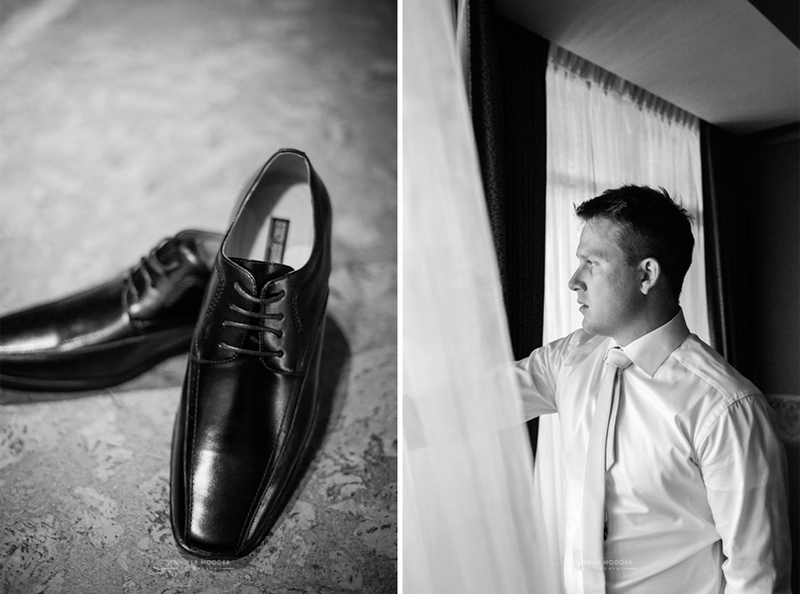 The bride chose to get ready in the Eldorado’s bridal suite and the groom opted for the Delta. 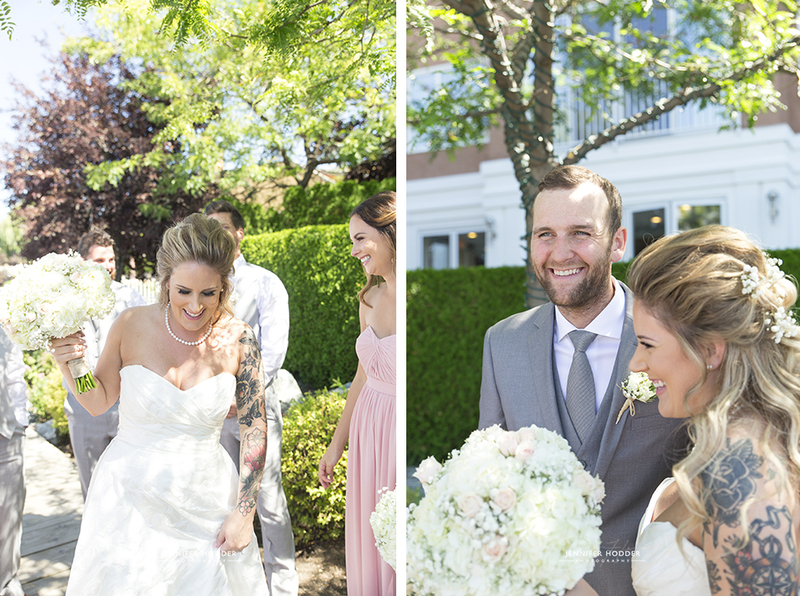 I started with the groom in the morning at the Delta Grand Okanagan hotel in Kelowna. Travis was gracious enough to pose for a few photos while the rest of the groomsmen where busy getting dolled up. Usually the guys are ready long before the bridesmaids, so it allows me plenty of time with both the bride and groom separately. 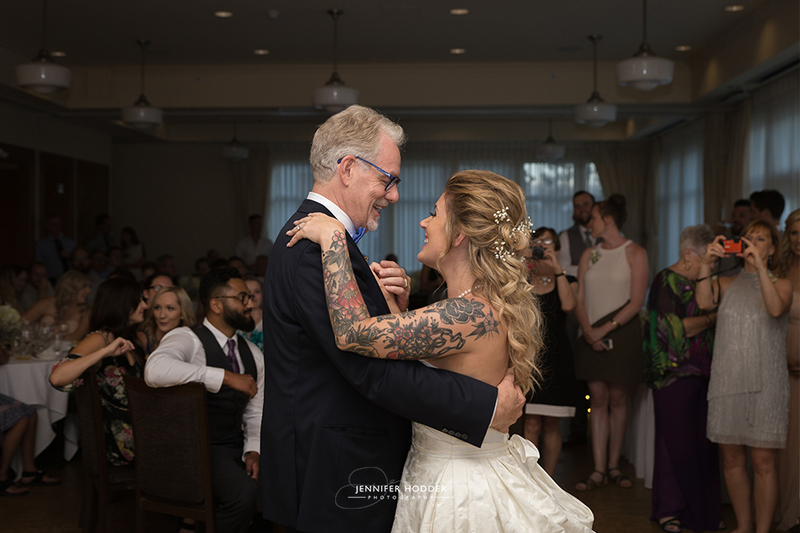 As the second shooter for this wedding I was able to focus primary on the groom, since they were both in separate hotels, but had enough time to photograph Steph and her girls as they were finishing up. 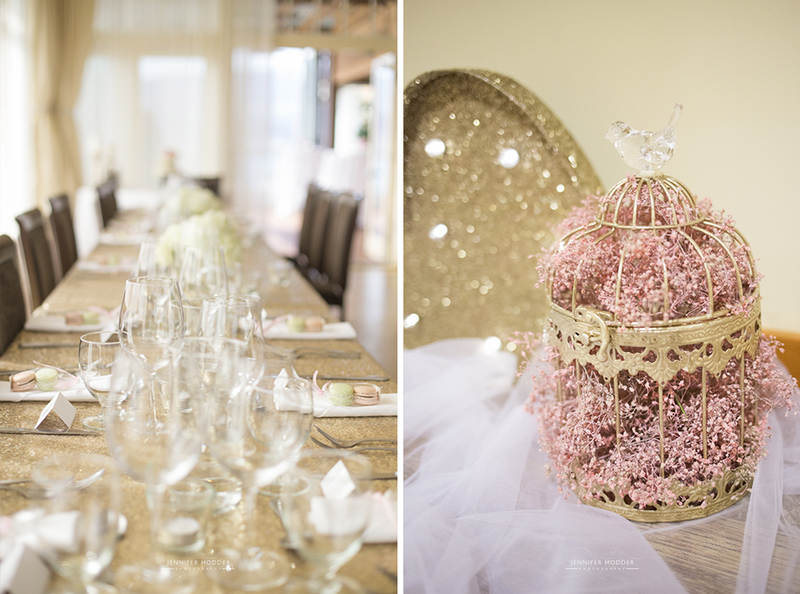 I loved all of the natural light coming from the large windows in the bridal suite at the Hotel Eldorado Kelowna. 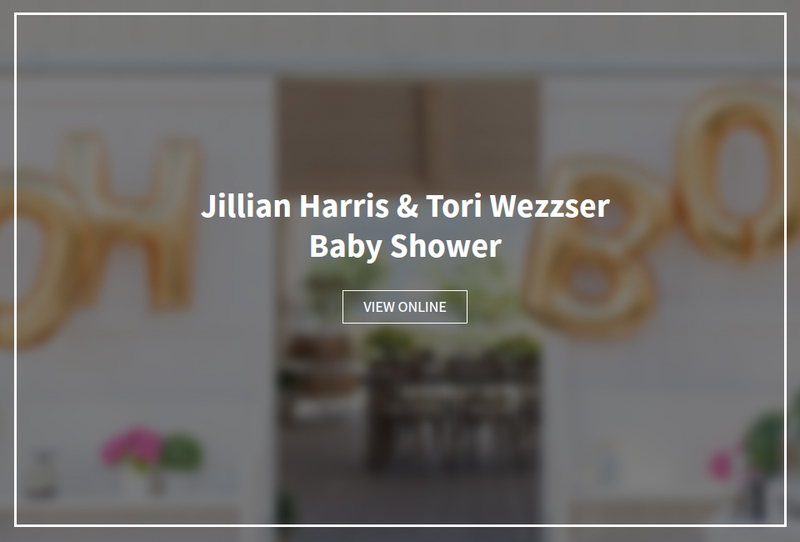 If you are ever in the market for a great getting ready room this is my #1 top pick! 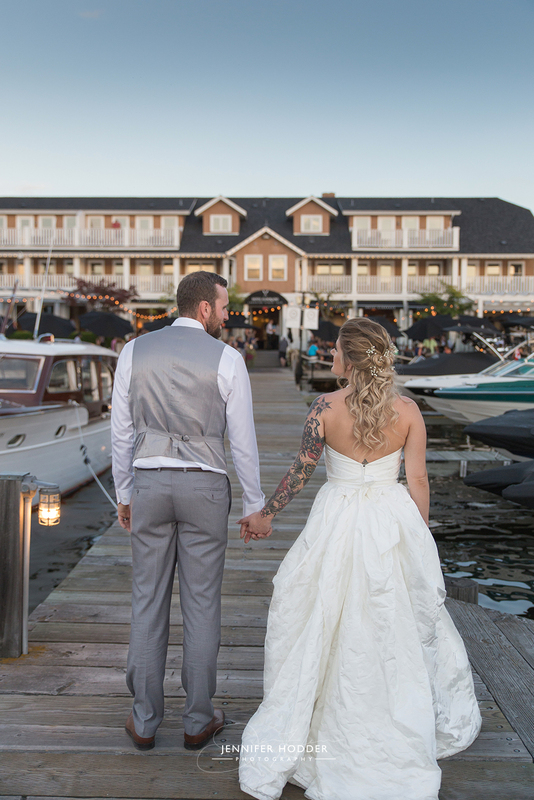 Next we headed to the hotel’s marina to do the “First Look”. The boardwalk in behind the Eldorado is a gorgeous locale with plenty of greenery and great photo ops with the lake just a few feet away. 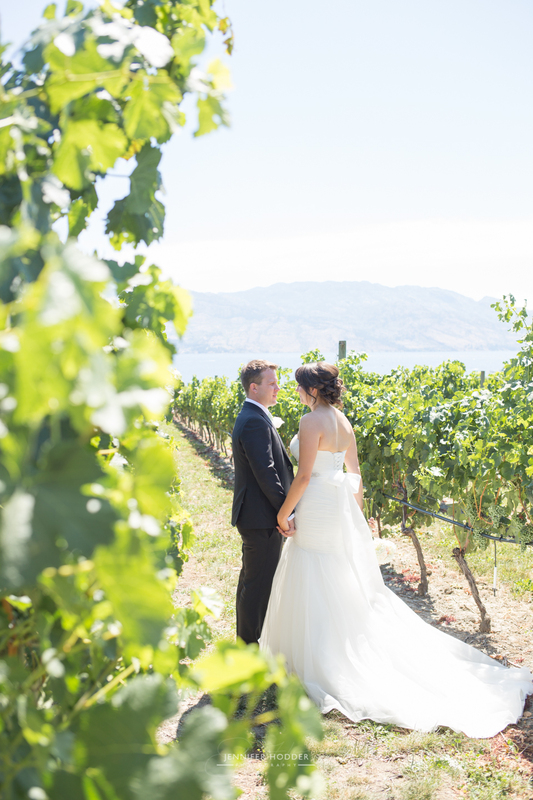 We spent some time here with the bridal party before jumping into a limousine and heading to Quails’ Gate Winery for more wedding photos. 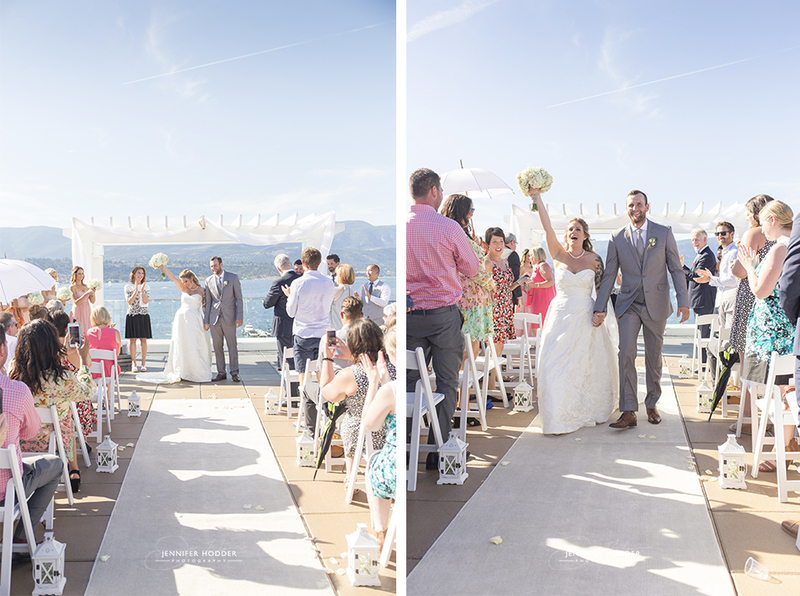 The ceremony took place back at the Hotel Eldorado on its rooftop patio overlooking the lake. Absolutely stunning! While the ceremony took place I was able to sneak inside and get some excellent detail shots of the lovely shabby chic decor. Party favors included hand made macaroons from Sandrine French Pastry and Chocolate. 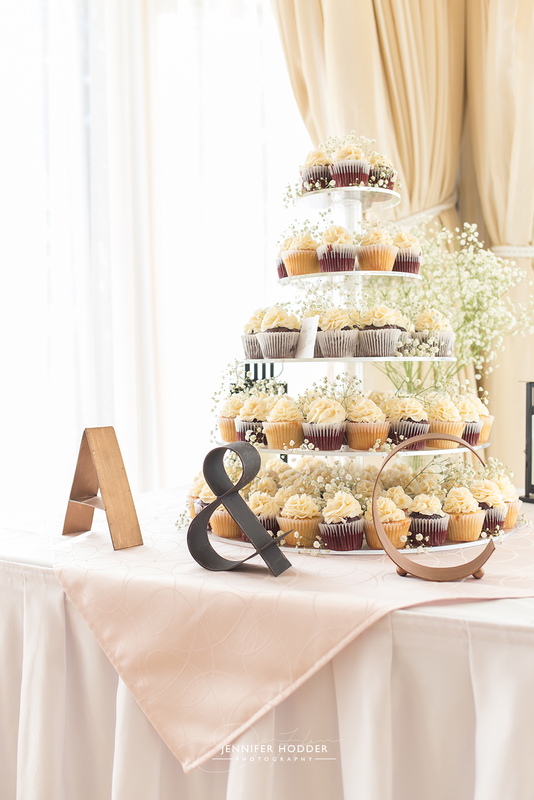 The macaroons where blush and pistachio colored to match the vintage theme and palette of the decorations. The reception took place indoors and carried on into the night. 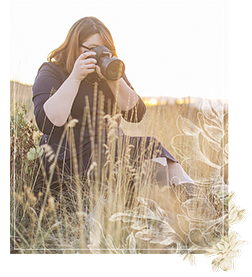 I’d like to thank Stephanie Whiting from Photography West for giving me the opportunity to be her second shooter for this wedding. 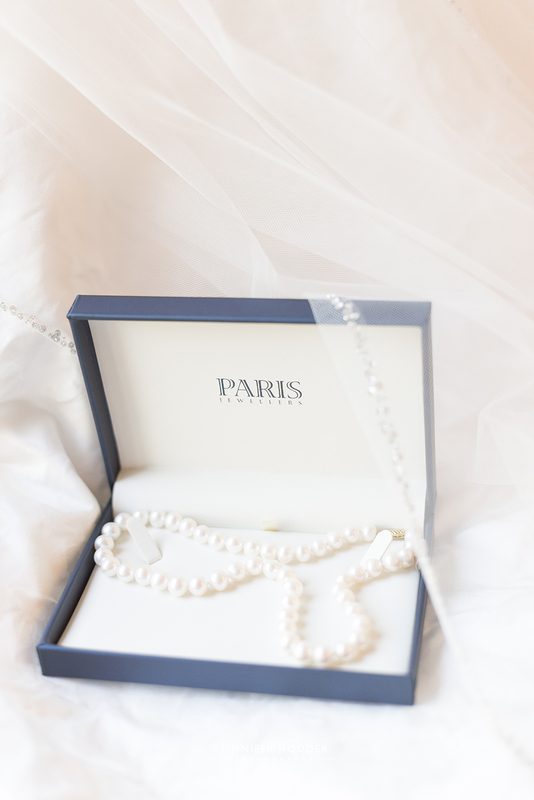 It was an invaluable learning experience and a beautiful wedding to have attended. 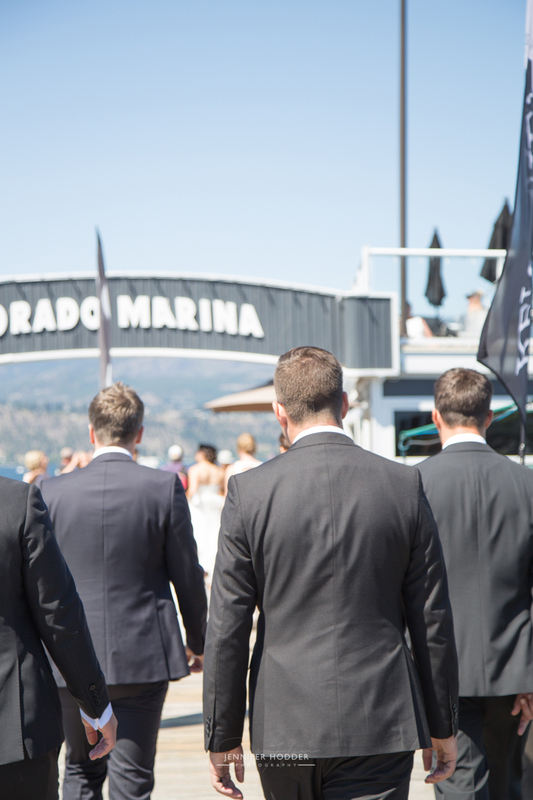 A Hotel Eldorado wedding is truly one of the greatest weddings in the Okanagan. 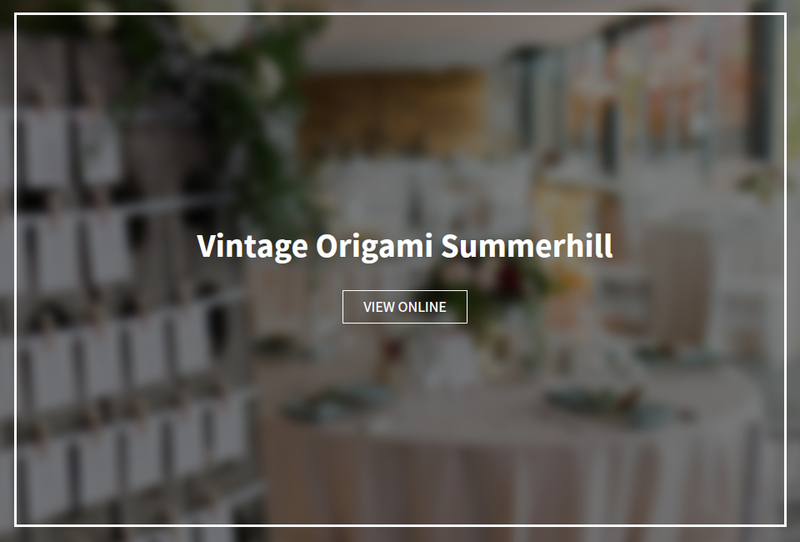 You cant beat the views, staff and the vintage atmosphere behind a wedding here. Share your photos with the ones you love. 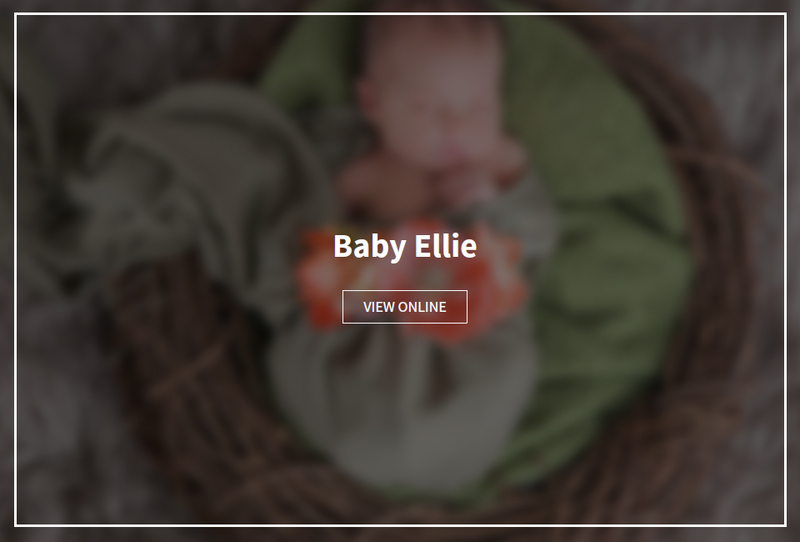 Backed up for 10 years, mobile friendly & now you can order prints directly from the site. 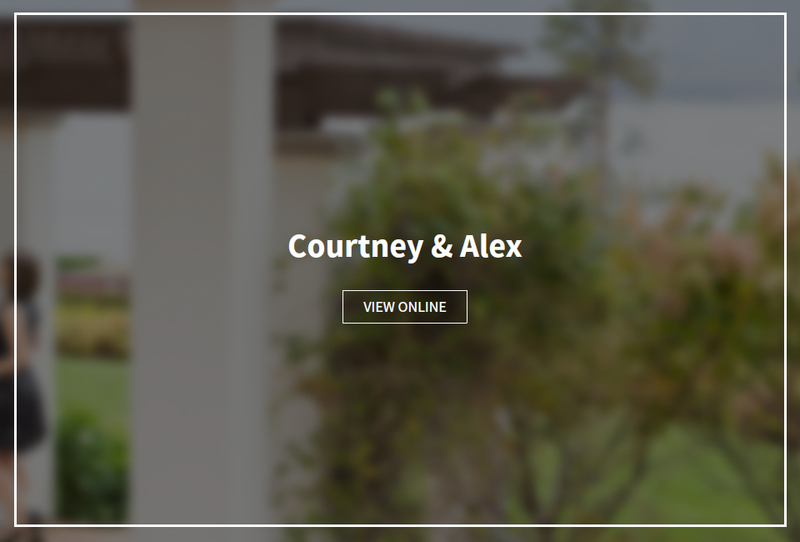 The personal gallery “add on” is only $50. I met with Kailey & Cole in the lounge of The Hotel Eldorado; the venue where they will be getting married in 2017. Kailey and I ordered that same drink and we all laughed about the simple things in life – I knew that this was going to be a great engagement shoot. Oh boy was I right! 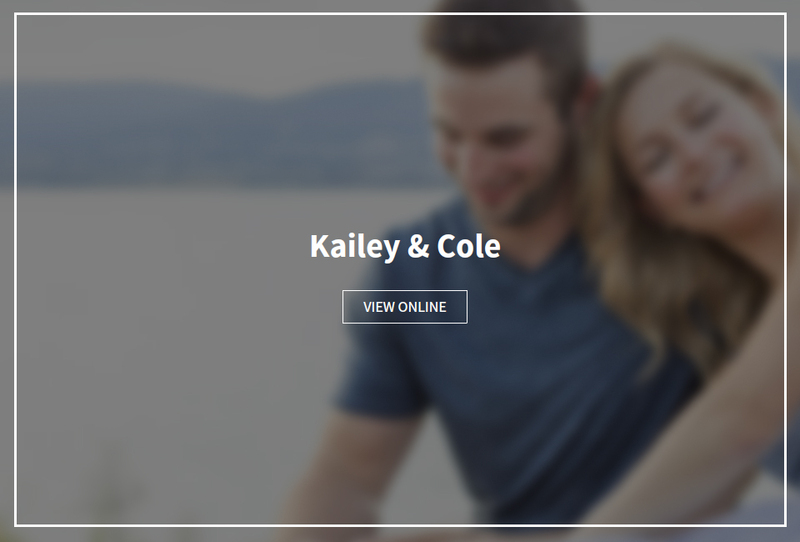 Kailey & Cole had the most fun, loving connection with each other. There was so much laughter, dancing and snuggles it was hard to call it a day when everything was done. Kailey wore an adorable blue and white striped dress that she had picked up from a trip in New Orleans – Cole’s outfit complimented hers perfectly, these two definitely had style to spare. 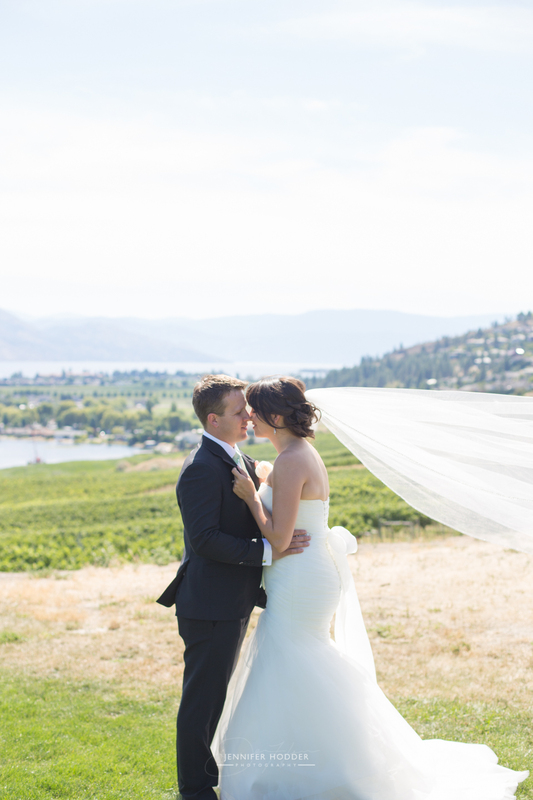 The picturesque lake and mountain views of the Okanagan were the perfect marriage for this couple. 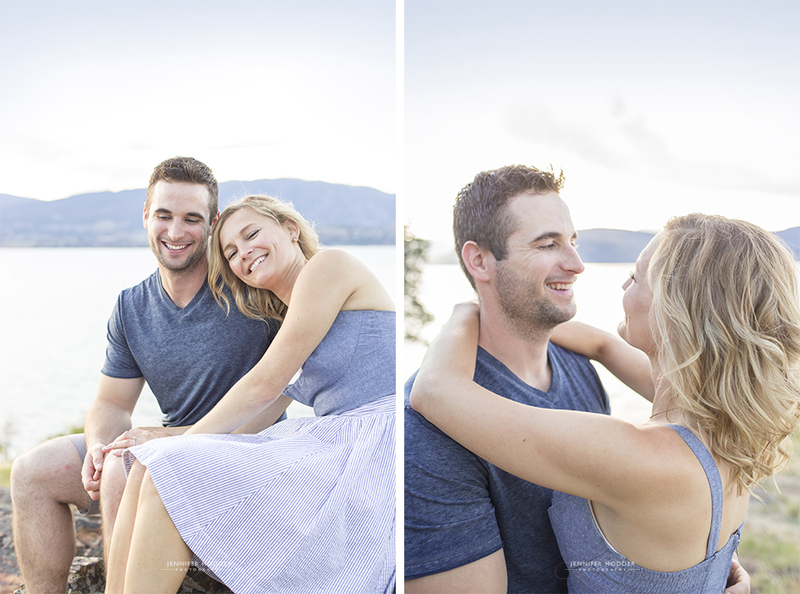 They enjoyed watching the sun set on Kelowna as we finished up the engagement shoot and couldn’t wait to come back. I can without a doubt say that these two are a special couple and I can’t wait to photograph their Summer wedding in 2017! 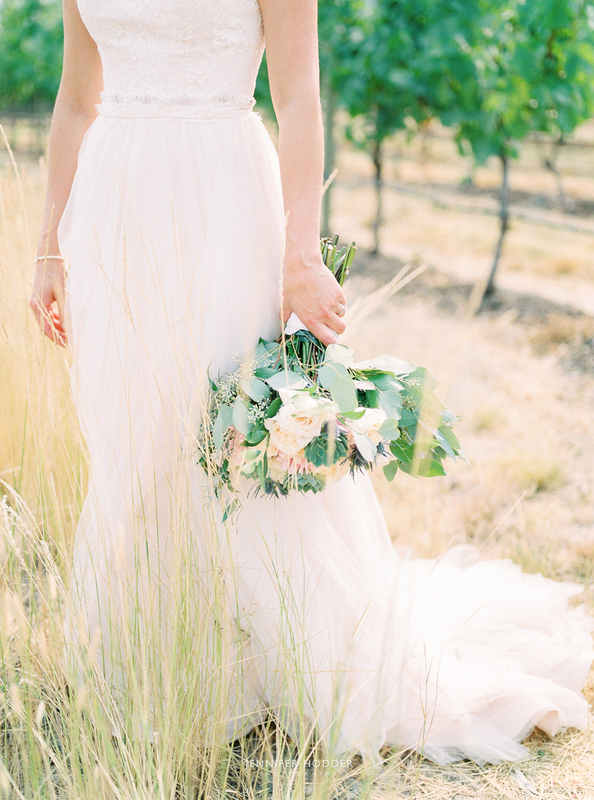 Should You Do A First Look At Your Wedding? When you go to plan your big day you will sit down with your soon to be hubby and discuss your wedding timeline. When will you start getting ready? Where will the getting ready photos be taken? 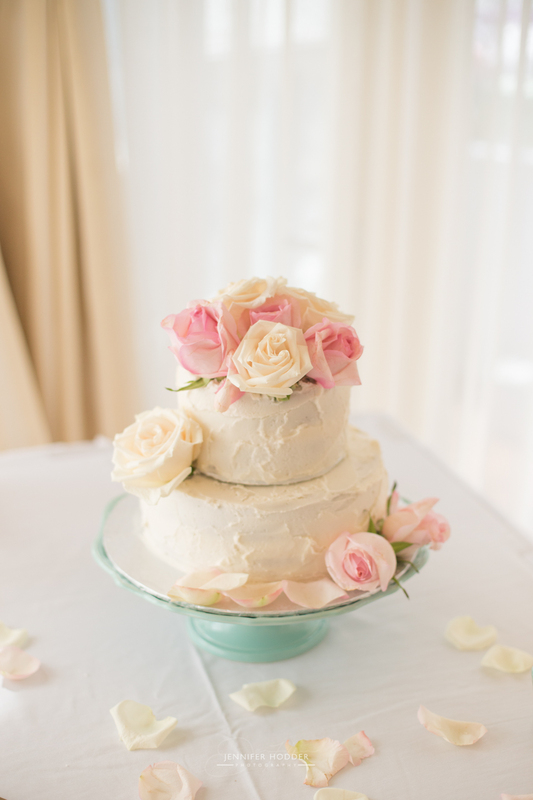 What time do we cut the cake and when we we do the first dance? 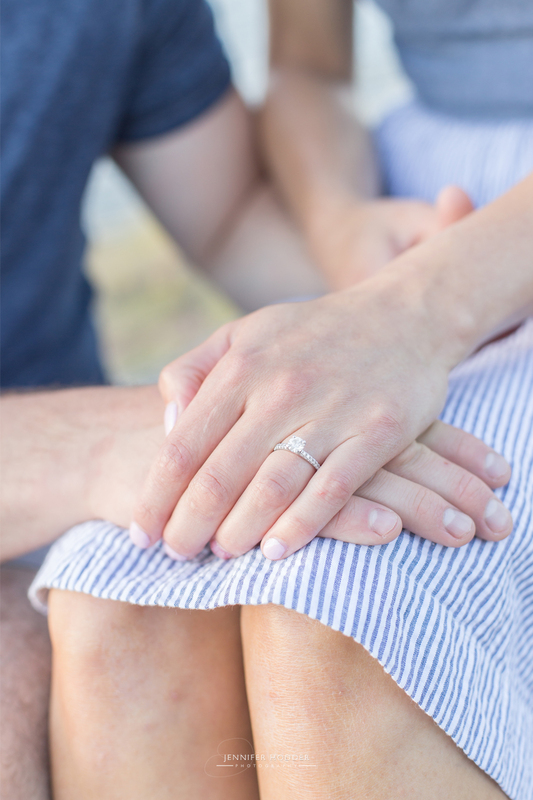 It can all be a little overwhelming at first and it’s easy to get a little flustered, but rest assured that you will do fine – you’re marrying your true love and that’s the most important part. I have photographed, and been in weddings that each did something a little different, so there really is no one way to do it. 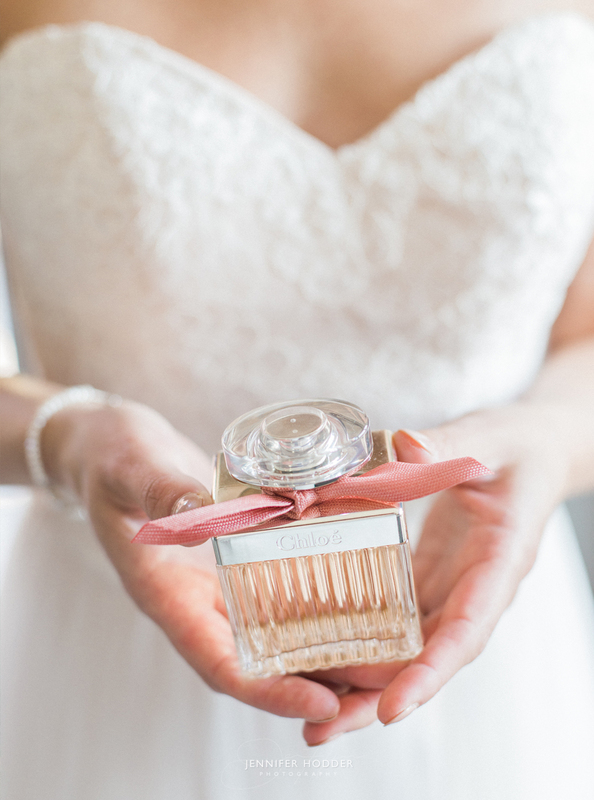 A “First Look” is when the bride and the groom set aside a few minutes just before the ceremony to capture the moment when they see each other for the first time. Usually the groom hasn’t seen their bride-to-be before this and because it’s just the two of them sharing an intimate meeting together, it allows emotions to flow freely. 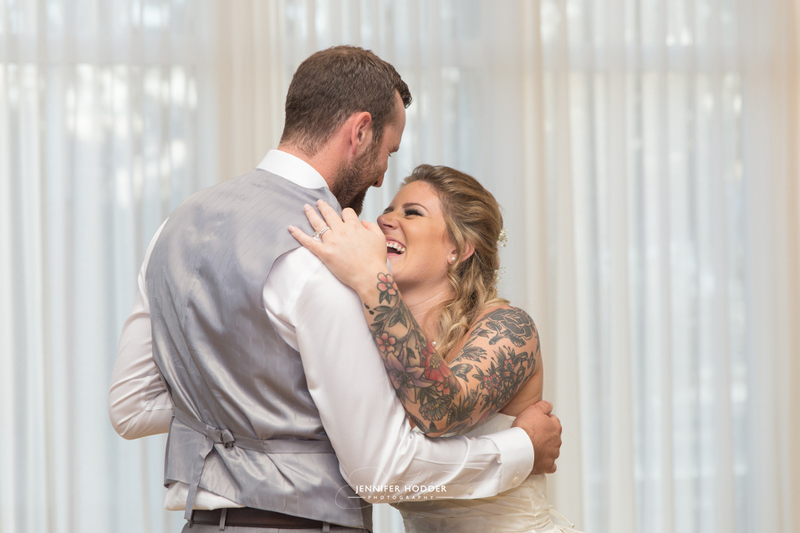 It’s a little outside of the box, but it’s one of my favorite parts (if the bride and groom are up for it) because it portrays such raw unfiltered feelings, and the two of them can just be themselves. I’m a big advocate for First Looks, especially if either party is a little nervous – a secret rendezvous to calm one another works wonders. 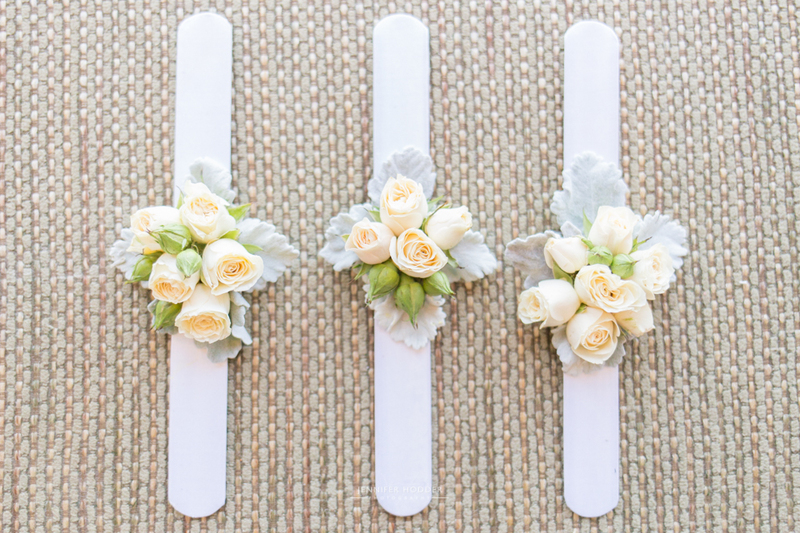 If you do opt for a First Look at your wedding you open the door for more candid photo opportunities. 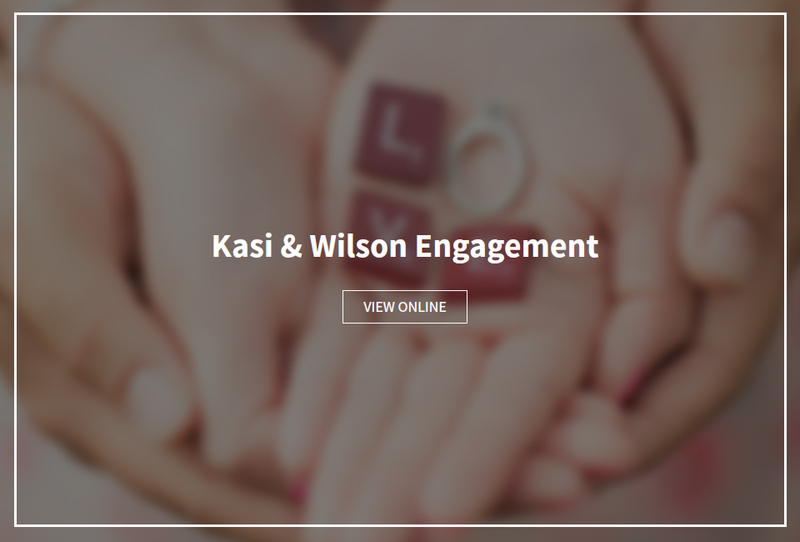 It allows you more time with family once you have said your vows because your wedding photographer will have captured most of the bride and groom portraits beforehand. 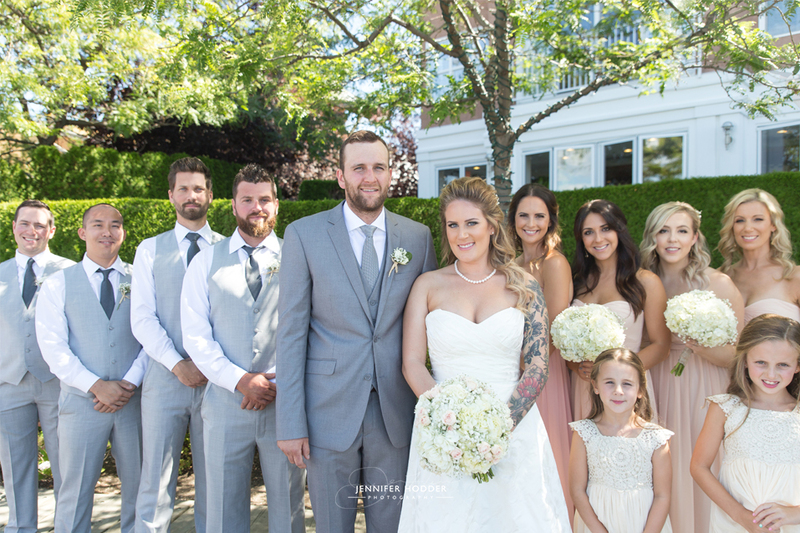 I personally have photographed the wedding party shots immediately after the First Look – this is great for summer weddings especially, because this is when every one will look their best. 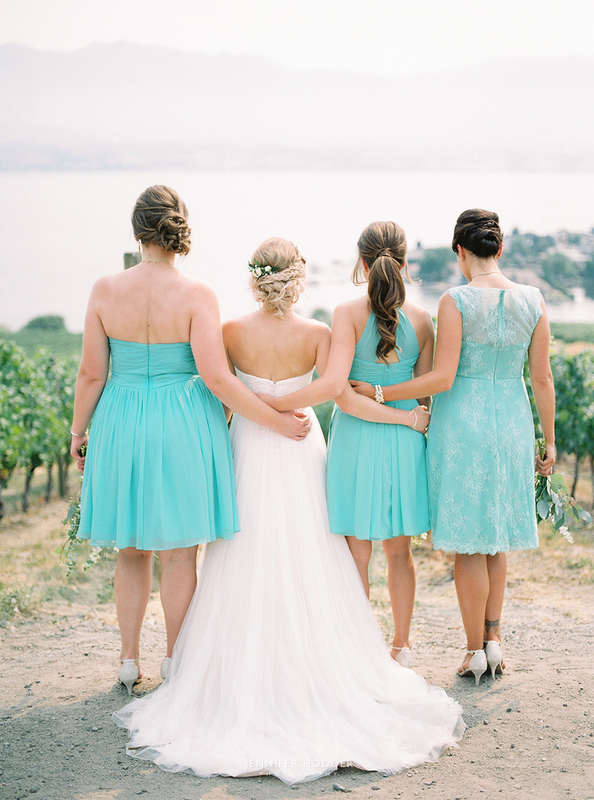 These Okanagan Summer Weddings can be scorchers. 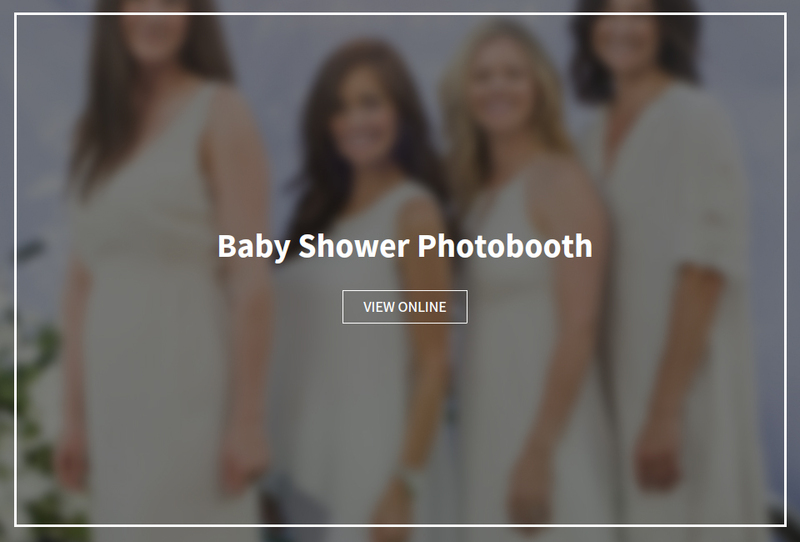 Ideally, your wedding party photos can be taken right after you have all just had your hair and makeup perfectly applied, before enduring hours of heat. 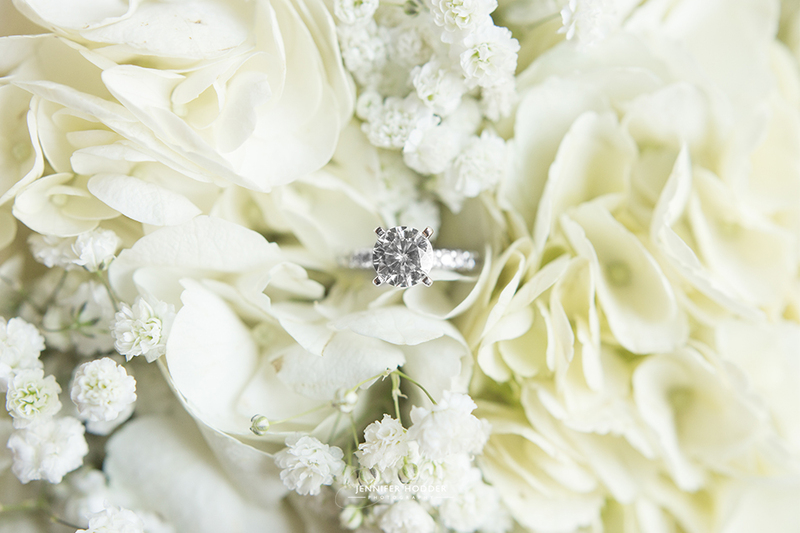 Now keep in mind a First Look isn’t for every couple, because it’s a little less traditional, but I encourage you to discuss this option with your loved one to see if it’s right for you. 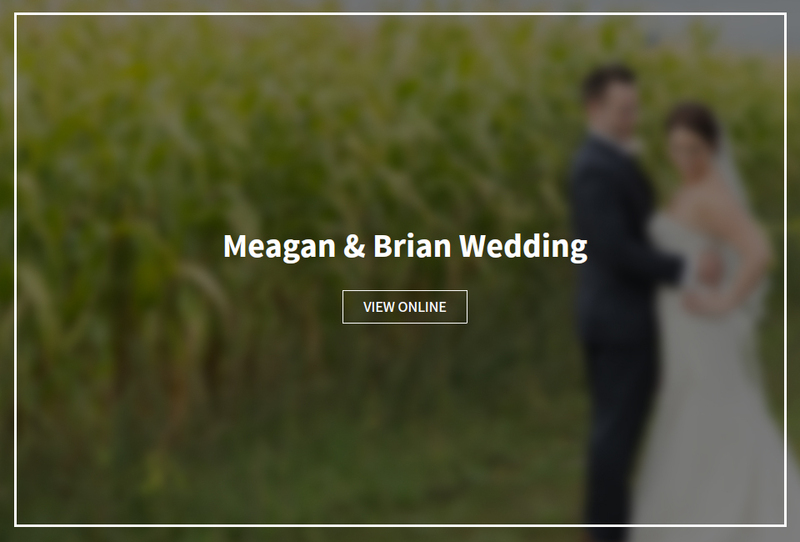 Welcome to the JH blog, this is where you will find my latest posts from my photography business, including weddings, engagements, family & lifestyle shoots. I also write articles about helpful tips & tricks on all sorts of things, thank you for your interest and I will hopefully hear from you soon. 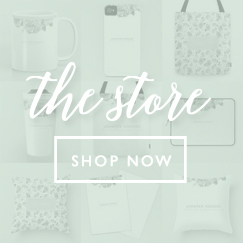 Sign up for the Jennifer Hodder Photography Newsletter.